JOURNAL CARDS are so versatile! Use them for journaling, as photo mattes, or as general embellishments. 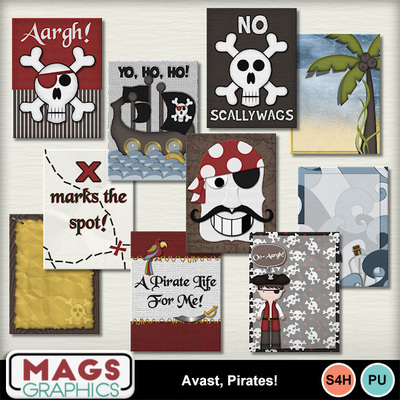 This set of ten 3"x4" cards matches my "AVAST, PIRATES!" Collection. Don't miss any part of this cute series!